MONDAY, Feb. 15, 2016 (HealthDay News) -- A popular class of heartburn medications might raise a senior's risk of dementia, a new study suggests. Called proton pump inhibitors (PPIs), this group of drugs includes Prilosec, Nexium and Prevacid. They work by lowering the amount of acid produced by the stomach. But German researchers found that people 75 or older who regularly take the medications had a 44 percent increased risk of dementia, compared with seniors not using the drugs. The study only found an association, however, and not a cause-and-effect link. "To evaluate cause-and-effect relationships between long-term PPI use and possible effects on cognition in the elderly, randomized, prospective clinical trials are needed," said corresponding author Britta Haenisch, from the German Center for Neurodegenerative Diseases in Bonn. In the meantime, "Clinicians should follow guidelines for PPI prescription, to avoid overprescribing PPIs and inappropriate use," Haenisch said. The report was published Feb. 15 in the journal JAMA Neurology. The results are surprising enough that at least one leading expert on aging, Dr. Malaz Boustani, plans to share the findings with older patients who are using PPIs. Boustani said earlier studies have linked another type of antacid, H2 blockers, with an increased risk of dementia. Up to now, he's recommended that patients use PPIs to treat acid reflux and steer clear of H2 blockers like Tagamet, Pepcid and Zantac. "I'm going to disclose the finding to my patients and then let them decide whether they will take the risk or not," said Boustani, a professor of medicine with the Indiana University Center for Aging Research and a spokesman for the American Federation for Aging Research. "On Monday I have clinic, and if I have patients taking a PPI or an H2 blocker I will tell them exactly what I'm telling you, and then they can decide." More than 15 million Americans used prescription PPIs in 2013, at a total cost of more than $10 billion, according to a report by the IMS Institute for Healthcare Informatics. Several popular PPIs -- Prilosec, Prevacid and Zegerid -- also are available over-the counter, further boosting their use. Concern has been increasing that Americans might be overusing PPIs to treat minor cases of heartburn or acid reflux. As many as 70 percent of PPI prescriptions in the United States have been inappropriately handed out by doctors, and 25 percent of long-term users could stop taking the medication without suffering increased heartburn or acid reflux, according to a study published in January in the journal JAMA Internal Medicine. Overuse of PPIs could have drastic effects on health, that study found. For example, the medications have been linked to a 20 percent to 50 percent higher risk of chronic kidney disease. And now the German researchers report there also is some evidence that PPI use might affect a person's ability to reason. PPIs appear to effect levels of amyloid beta and tau, which are proteins associated with Alzheimer's disease, the German authors said. PPI use can also lead to vitamin B12 deficiency, which has been associated with cognitive decline. To test the possible association between PPIs and dementia, the German researchers collected data from a large German health insurance firm on almost 74,000 seniors aged 75 or older. The data ran from 2004 to 2011, and included diagnoses and drug prescriptions. About 2,950 patients regularly used PPIs, which for this study was defined as at least one PPI prescription in each quarter of an 18-month interval. Regular users of PPIs had a 44 percent increased risk of dementia compared with those not receiving PPI medications. However, the study doesn't make clear whether PPIs are also available over the counter in Germany, as they are in the United States, said Dr. Arun Swaminath, director of the inflammatory bowel disease program at Lenox Hill Hospital in New York City. If over-the-counter PPIs are available, then more people might have been taking them and the dementia risk described in this paper could be overestimated, Swaminath said. 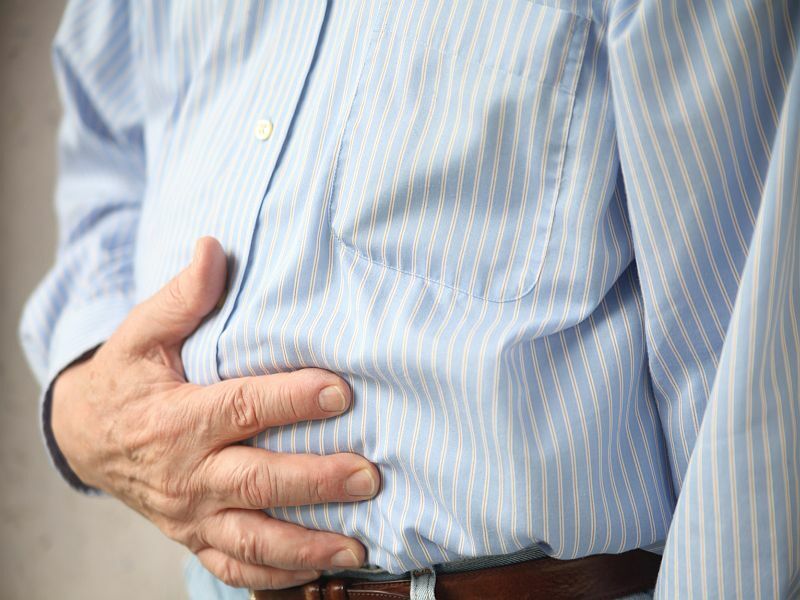 "However, I think the point here is that for some patients, weaning off PPIs is reasonable and they should make this decision with their doctors," he said. People who want to ease off PPIs can take a number of steps to reduce excess acid or prevent acid reflux, Boustani said. They can eat smaller meals, lay off chocolate and caffeine, and stay upright for a few hours following each meal. Boustani added that his group has received federal funding to design clinical trials in which people would be weaned off PPIs, to see how it affects their ability to remember and think. Dr. Gisele Wolf-Klein, director of geriatric education at North Shore-LIJ Health System in New Hyde Park, N.Y., added that even the researchers aren't sure why PPIs would affect the aging brain. "We don't know what is causing the brain to deteriorate. Until we know this, there's no reason for people who are taking PPIs to be too concerned about that and stop taking those agents if they are needed," Wolf-Klein said. While the study is intriguing, it's not enough for doctors to warn patients off PPI use, said Keith Fargo, director of scientific programs and outreach for the Alzheimer's Association. "It does not tell us anything that should change medical practice right now," Fargo said. "I don't think there's going to be an uprising among doctors telling patients not to take their PPIs. This doesn't rise anywhere near the level of evidence you would need for that." One of the paper's main flaws is that researchers could not control for diet and body weight as risk factors, Fargo said. "Both of those things, we know, are risk factors for developing cognitive decline and dementia in later life, and both of those are reasons why a person might need to take a proton pump inhibitor," Fargo explained. How Could You Live Better With MS? Get the facts on dementia and disorders such as Lewy Body dementia, Alzheimer's disease, vascular dementia, and more. Learn the warning signs of dementia.